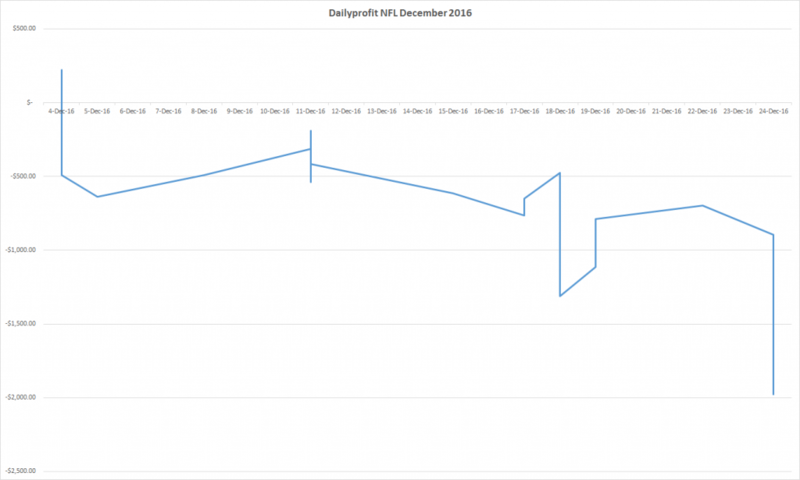 NFL was the culprit again this month, losing 18 units, while the NBA made a small 1.4 units profit. 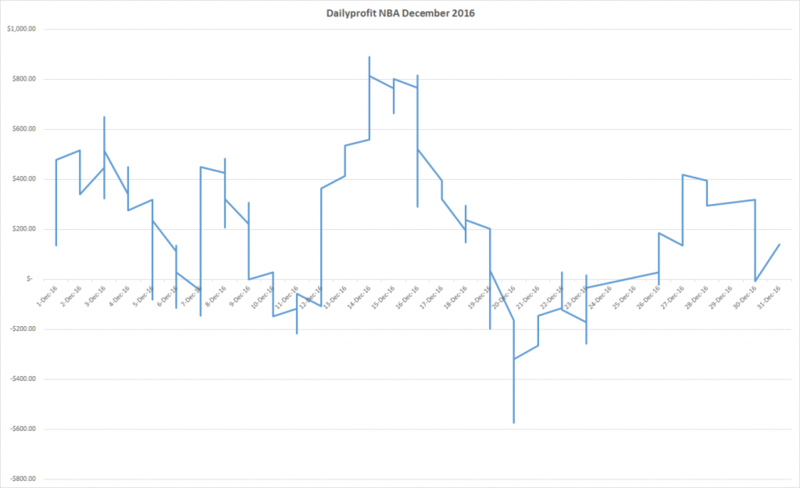 2016 was a breakeven year for Dailyprofit and we will have a yearly review up soon. In total, we placed 198 bets and won 95 of them (48.5%). We placed bets totalling 224.125 units ($22,412.50) and lost 16.6320 units ($1,663.20). That is a -7.42% ROI. The previous update was a -6.8404 unit loss. We bet 76 units and lost 18.0245 units for a -23.7% ROI. We placed 48 bets and won 18 of them (37.5%). The Line bets were the contributing factor to the loss. Line bets hit 9 from 29 (31%) and lost 14.2620 units at -33.4%. Totals bets went 9 from 19 (47.4%) and lost 3.7625 units at -11.3% ROI. The NBA again made a small profit. Once again it was the totals that did well and the H2H bets giving most of the profits back. We bet a total of 148.125 units ($14,812.50) and made a profit of 1.3925 units ($139.25). The Head to Head bets were again the disappointment, with a turnover of 59.525 units and a loss of 13.9114 units at -23.4% ROI. The Totals did well once more with 88.6 units turnover and a 15.3039 unit profit at 17.3% ROI. A big loss in December brings the year to break even. After subscription fees, members of the SP service would be showing nothing for their years betting (apart from less hairs and a weaker heart from all the betting). 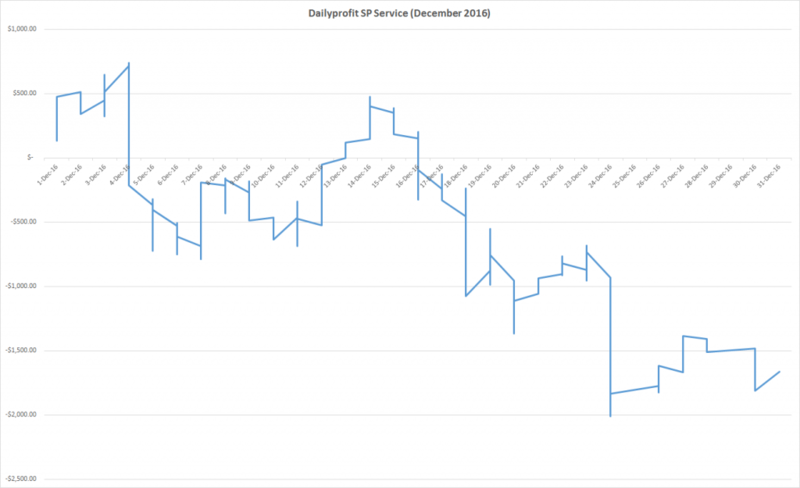 Years like this happen, but we continue to improve the models and the service and can look forward to another years worth of betting and hopefully a nice big profit. The results spreadsheet is updated every Tuesday morning and uploaded to the site for anyone to download. You can click the link below to grab it and see how we did on all our bets.